IndustryNet, which maintains current information on nearly 400,000 U.S. manufacturers as well 10,000+ industrial supply companies, recently reported strong growth in the U.S. laser cutting industry, citing a 4% rise in employment in the past year for those companies providing laser cutting services. 1. Resonetics, LLC; Nashua, New Hampshire; 1,200 employees. Utilizing both gas and solid state laser tools, Resonetics can cut both metals and polymers microscopically. Working primarily in the medical device industry, Resonetics cuts sheet material, wires, and tubes for catheters and other geometrically complex devices. 2. Spectralytics, Inc.; Dassell, Minnesota; 1,005 employees. Spectralytics specializes in laser cutting for medical devices. The business can cut materials as thin as .005" and tubing with a diameter as small as .010". Spectralytics houses a clean room for materials requiring a completely sterile environment. 3. Laserage; Waukegan, Illinois; 1,000 employees. Laserage excels in cutting 2D flats and 3D pre-fabricated components. Its precision enables delivery of exact tolerances for hole-to-hole and slot-to-slot alignment. Laserage also uses a 4-axis process to increase cutting accuracy for tubing. 4. Preco, Inc.; Somerset, Wisconsin; 1,000 employees. Preco meets industrial application needs for high-speed material processing. It designs and manufactures systems for cutting, perforating, welding, and other applications. With proprietary laser-based manufacturing capabilities, Preco is one of the largest contract manufacturing service providers in North America. 5. Epilog Laser; Golden, Colorado; 950 employees. Epilog manufactures a variety of laser cutting machinery. When it was founded in 1988, Epilog's goal was to make laser engraving affordable to everyone from commercial enterprises to home craftsmen. The company has grown to include laser cutting machinery and marking machinery. 6. Grain Belt Supply Co., Inc.; Salina, Kansas; 850 employees. Grain Belt Supply can turn your ideas into reality through its in-house team of research and development specialists and designers who can reverse engineer a product to determine your most cost-effective method of reproducing a part. They not only laser cut machine parts, but produce and assemble entire machines. 7. Mazak Optonics Corp.; Elgin, Illinois; 845 employees. Mazak Optonics manufactures laser cutting machinery solely for the metal fabrication, structure steel, and construction industries. Mazak has a history of innovation in laser cutting, developing the first resonator-based laser cutting machine in 1983 and the first constant beam laser delivery system in 1990. It continues to innovate to meet the needs of today's customers. 8. Avicenna Technology, Inc.; Montevideo, Minnesota; 800 employees. Avicenna operates exclusively within the medical sector working with top-notch manufacturers to design and produce state-of-the-art medical devices. With its clean room and packaging capabilities, Avicenna provides the value-added service that creates loyal, life-long customers. 9. Precision Laser & Manufacturing, LLC; Lawrenceburg, Tennessee; 800 employees. Precision Laser was the first laser job shop in the United States. With its additional capabilities such as welding, fabrication, and powder coating, it can provide fully finished parts to its customers. 10. Technique, Inc.; Jackson, Michigan; 800 employees. Technique provides low- to mid-volume laser cut tubing from carbon steel, stainless steel, aluminum, and high-strength alloys. It can work with round, straight, or rectangular tubing from simple to complex cuts. Epilog manufactures entry-level laser engraving and cutting machinery that is approximately the size of a desktop printer. But its small size belies its capabilities which include 3D engraving. Other laser machinery includes the Legend, Fusion and Galvo series. All Epilog equipment is produced in the United States from its Golden, Colorado facility. Technique offers emergency solutions to your urgent problems. The company works 24/7 to provide rapid production and even maintains its own airplane for situations requiring immediate part delivery. Tigmaster began operations in 1981 to provide welding services to area tool and die companies. Shortly thereafter, it became the first company in the area to offer laser cutting services and one of the first in the area to offer laser QC scanning capabilities. 1. Grain Belt Supply Co., Inc.; Salina, Kansas; 120,000 square feet. Grain Belt Supply employs one or more of its 12 high-speed precision laser cutting machines to fulfill orders large or small. They primarily produce parts from computer assisted design for either sheet or tubular metal. Some of the parts are then powder coated and used in industries such as agriculture, transportation, energy, and construction. 2. Preco, Inc.; Somerset, Wisconsin; 110,000 square feet. Preco uses a combination of laser cutting technologies to suit client needs, with both gas and fiber capabilities. Preco serves a variety of markets including abrasives, automotive, flex circuits, graphic overlays, medical, packaging, radio frequency identification, and others. 3. Prince Precision Products, LLC; Macon, Georgia; 110,000 square feet. Prince Precision excels in rapid, precise laser cutting of mild steel, stainless steel, and aluminum. Prince uses automated computer numerically controlled lasers to cut carbon steel up to 1" thickness, stainless up to 0.5" thickness, and aluminum up to .375" thickness. 4. JD Laser, Inc.; Hartford, Wisconsin; 100,000 square feet. JD Laser uses tube lasers, 2D lasers, and 3D lasers to complete your project. It also provides related services such as tube bending, fabrication, and machining to meet all of your laser cutting and fabrication needs. 5. L.E.F., Inc.; Tulsa, Oklahoma; 95,000 square feet. L.E.F. 's 3 axis laser cutter handles carbon steel, stainless steel, alloys, aluminum, plastic, brass, and copper. The company works in quantities ranging from prototypes to large sheet productions. L.E.F. 's 5 axis laser cutter creates 3D products, including contour cutting and beveling. 6. Laser Mechanisms, Inc.; Novi, Michigan; 75,000 square feet. Laser Mechanisms utilizes computer numerically controlled machining to ensure the precision of the finished parts. This precision includes tolerances maintained within microns regardless of the number of finished parts. 7. Laserflex Corp.; Hilliard, Ohio; 68,000 square feet. Laserflex specializes in laser cutting services for the automotive, aircraft, and watercraft industries. 8. DAE Industries, Inc.; Louisville, Kentucky; 65,000 square feet. Founded in 1948, DAE has grown to meet the needs of the fast-paced aircraft maintenance equipment field for commercial, military, business, and other aviation clients. DAE sells, services, and repairs laser cutting and other components of aircraft that keep the skies safe. 9. Spectralytics, Inc.; Dassell, Minnesota; 60,000 square feet. Spectralytics works with metals to create tubing, machine components, and the flat portion of catheters. Stents and orthopedic tools and devices are other prime candidates for Spectralytics' laser cutting capabilities. The company's polymer applications include reinforcing surgical components, filter membranes, and catheter tips. 10. FedTech™, Inc.; Mounds View, Minnesota; 60,000 square feet. FedTech™ provides custom laser cutting for your parts. It excels in cutting irregularly shaped pieces for nesting and provides a fast, cost-efficient turnaround on all laser cutting orders. Prince Precision employs both a 4,000 watt laser cutter and a 6,000 watt laser cutter. Both cutters are attached to material stacking stations to speed production and lower your final costs. Unlike other laser cutting companies, Laser 1 Technology is a full-service, supply chain management option. It excels at laser cutting, but also works with its clients on supply chains, inventory management, and on-time delivery. These value-added services save client time, warehouse space, and, ultimately, money. 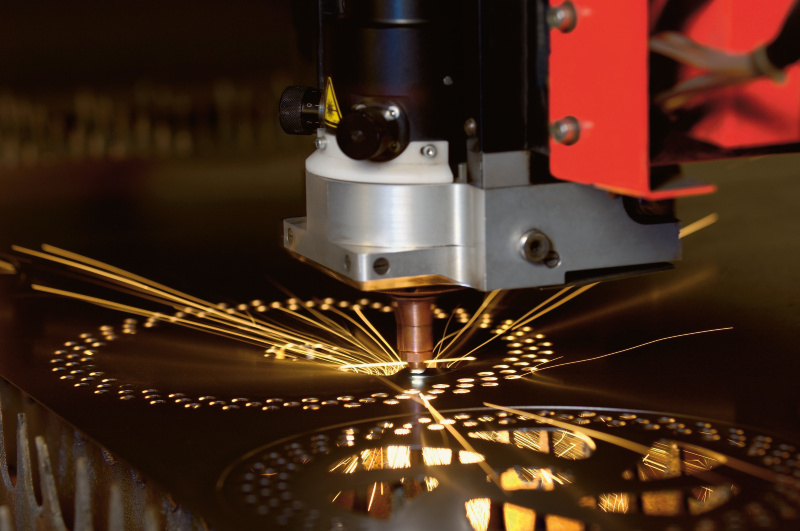 Laserfab performs high-speed laser cutting with up-to-the-minute lasers, both fiber and gas. Its capabilities include mild steel, stainless steel, aluminum, copper, and brass. Laserfab combines the extensive experience of their employees with its modern equipment to fulfill the most exactly orders. IndustryNet is a one-stop resource for all of your industrial supply needs, providing information on 400,000 U.S. manufactures as well as suppliers of 10,000+ industrial products and services. 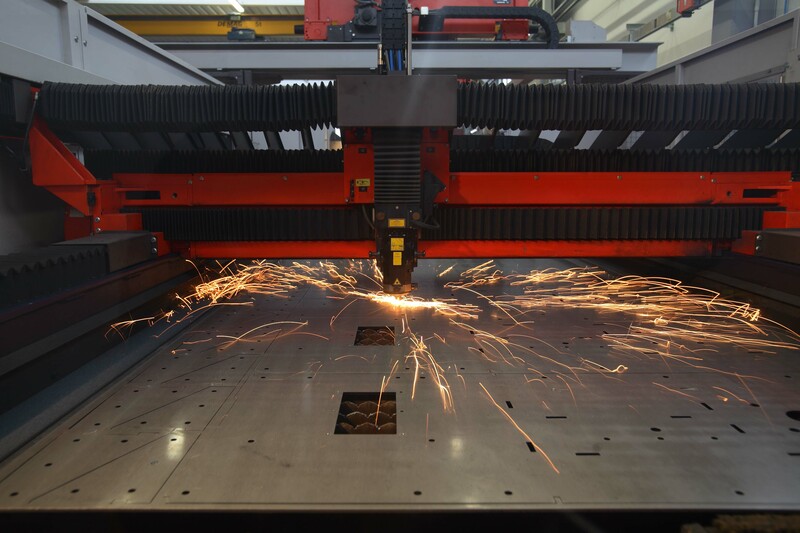 To connect with the companies that provide laser cutting services near you, start your free search on IndustryNet. Here, you can obtain a quote, contact a company directly, connect on social media, obtain a list of industrial suppliers in your area, and more. Related Companies: Alabama Laser Technologies, Avicenna Technology, Inc., DAE Industries, Inc., Epilog Laser, Grain Belt Supply Co., Inc., JD Laser, Inc., L.E.F., Inc., LAI International, Inc., Laser 1 Technology, Inc., Laser Mechanisms, Inc., Laserage, Laserfab, Inc., Laserflex Corp., Mazak Optonics Corp., Precision Laser & Mfg., LLC, Preco, Inc., Prince Precision Products, LLC, Resonetics, LLC, Spectralytics, Inc., Technique, Inc., Tigmaster Co., Inc.